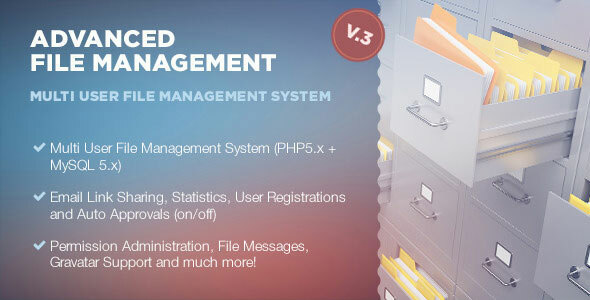 Multi user file management system v3.0 Administrator can create users and set their permissions (what users can see and do, what kind of files upload, set bandwidth limits, filesize limits). He also has statistics and activity logs, every users action goes into database logs. Admin can upload files and change his password, since v1.2.1. Since v1.3 admin can create upload folders and assign them per user, as well as delete file messages.